Congratulations to Marleen Vaesen (Greenyard) on winning the Vlerick Award 2017! 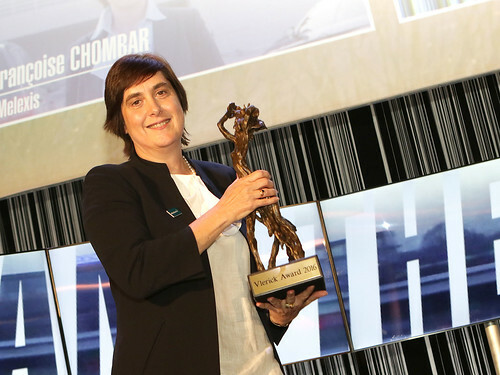 On Thursday 8 June 2017 you will have the chance to choose the winner of the 17th annual Vlerick Award in the prestigious Hôtel de la Poste in Brussels. A venue with unique character for an extraordinary event. Vlerick Alumni kindly invites you to attend our exciting show with live voting, hosted by Isabel Albers (De Tijd/L’Echo). After an exquisite seated dinner, in the presence of many former nominees and winners, you can choose this year’s winner yourself during the Award Ceremony. The event will be followed by a networking reception. Who should win the Vlerick Award 2017? Book your seat or table today, enjoy a top event & decide who will win. *Not a member yet, join now.